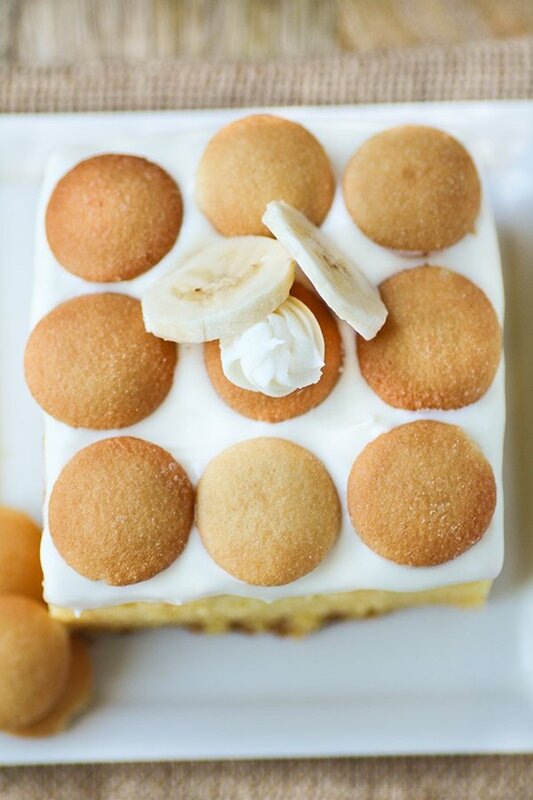 Creamy banana pudding made into a moistly dense cake with Nilla Wafers, sliced bananas and creamy whipped vanilla frosting. My favorite holiday recipes include cakes and cookies. In our family, we start baking after Thanksgiving. We are all about the 24 days of desserts leading up to Christmas Day and often bake something new each night and freeze it until we host our many holiday parties. I remember when I was young helping mom in the kitchen. She’d pull up a stool for me and let me add the cake mix, eggs and ‘help’ her stir everything together. The cake batter spatula got everywhere but my mom didn’t care. I remember decorating holiday cookies the most. I think I ate more frosting than actually putting it on the cookie. Even thought my dessert decorating skills we not good, mom always bragged to her friends about the desserts we frosted together. It wasn’t until I was in the teens that I begun frosting cakes. Nothing too complicated because sometimes simple makes a beautiful statement. Banana pudding is a staple of the south. However, the first time I had it I was actually at a potluck dinner. Traditionally, banana pudding is served with Nilla Wafers with whipped cream. It’s an easy dessert to make and it’s perfect for the summer month but making it into a cake is where it’s at in the winter. It’s not hard to understand why Banana Pudding Cake is staple at our holiday parties. Banana pudding cake is made with real banana and still has pudding but it’s mixed into the cake batter. This dense cake is really great for winter holidays, potlucks and special occasions. It’s a bit more dressed up than traditional banana pudding. This recipe uses a handful of ingredients and packs a huge banana flavor both in the cake and the frosting. The cake is dense, yet moist and full of flavor. 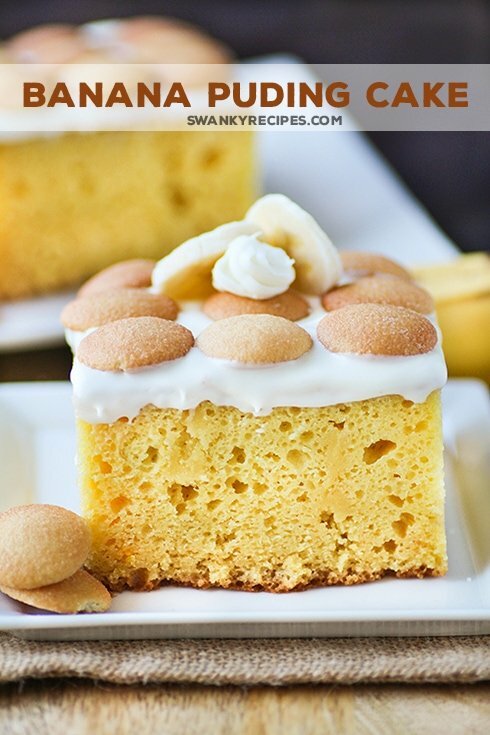 The Nilla Wafers give the cake a delightful crunch. 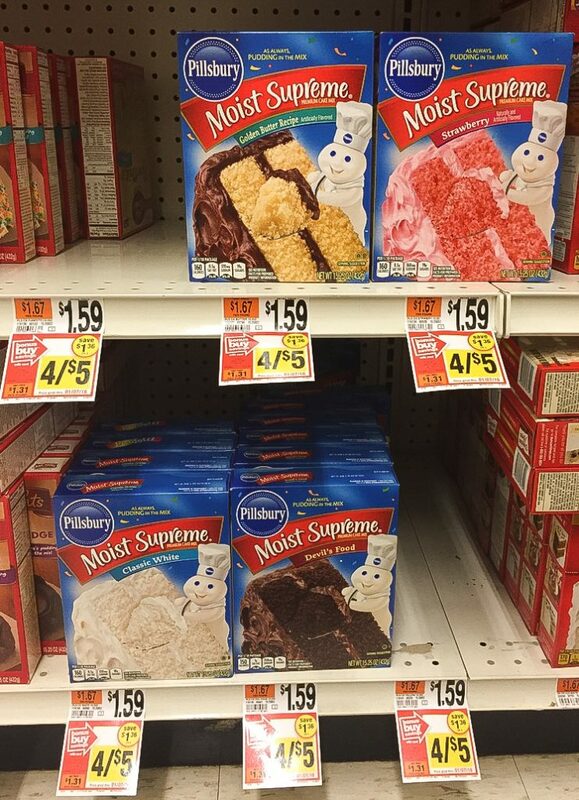 Pillsbury® cake mixes are great for holiday desserts. I have plenty of cakes on the blog that start with the boxed mix. 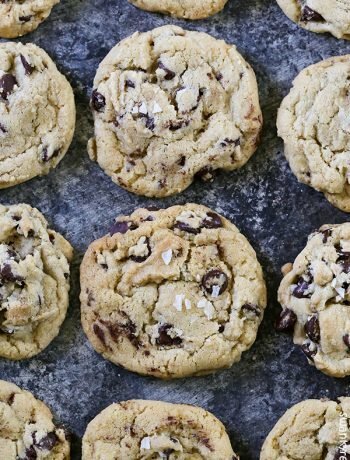 My most popular cookie recipe also has an alternative that’s made using the boxed mix. 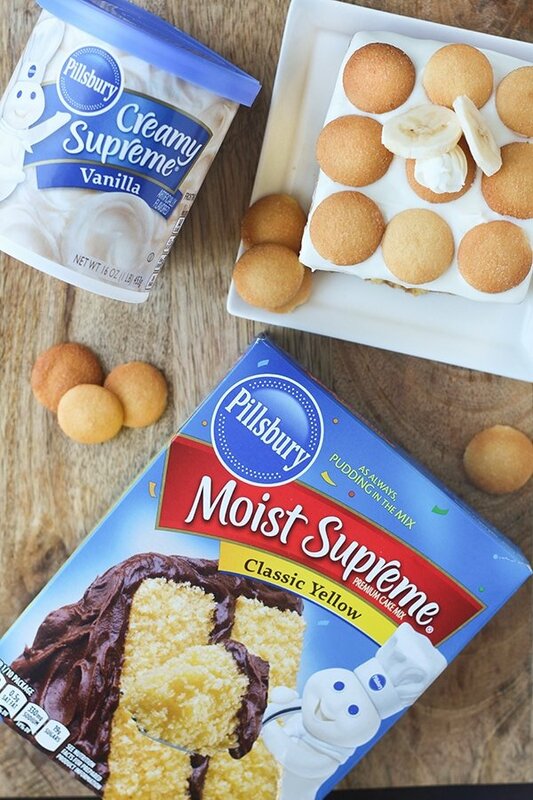 Pillsbury® Supreme Moist Yellow Cake Mix is delicious and pairs perfectly with this recipe. I’ve added a box of Banana Cream Pudding and baking soda to add more lift to the cake, which makes it ultra dense. I love using these mixes. They are convenient and have been a classic growing up with. I can go to the grocery store and buy these mixes and few a other ingredients and bring the bag to my friends house where we can bake everything. I can’t think of a better way to do holiday baking. I can find thousands of recipes online that start with Pillsbury® boxed cake mix and for a good reason. The mix absolutely delicious and easy enough to adapted into any recipe creation. I can’t imagine the holidays without cake mix. #TheDessertDebate lives on. Get coupons and recipes here. What is your favorite holiday recipe? What will you be making for your guests this year? 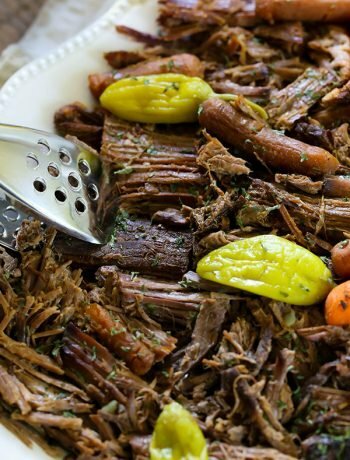 What flare would you add to this recipe to make it your own? Preheat oven to 350 degrees. In a 9 x 9 pan, cover with foil or parchment paper and spray with cooking spray; set aside. In a large bowl, mush banana then whisk together eggs, milk, water, oil and sour cream. Stir in cake mix and pudding, batter will be thick. 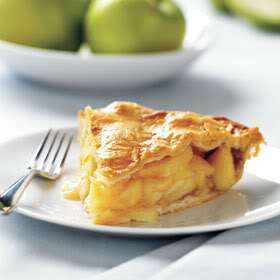 Pour into cake pan and baking in oven for 40-50 minutes or until a toothpick inserted into the center comes out clean. Foil may be placed over the top the last 20 minutes of baking to prevent too much browning. To make frosting, combine 3/4 cup heavy cream, 2 teaspoons sugar and a splash of vanilla extract into a blender or stand mixer with whisk attachment. Beat until soft peaks form. Combine whipped cream, pudding and Pillsbury® Creamy Vanilla Frosting in a blender and blend until smooth. Top with mini nilla wafers and sliced bananas. Chill for a few hours to stiffen frosting. Top with sliced bananas. This looks deliciously sinful!! I can’t wait to try this recipe! I love this idea! I love it even more since you used boxed cake mix! It’s my favorite short cut! 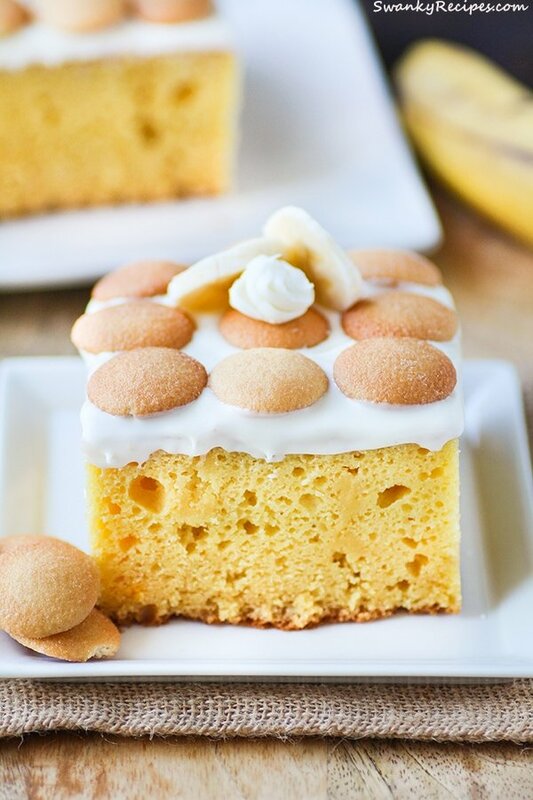 This banana cake looks absolutely scrumptious! I love the mini wafers on top!